UH-OH. 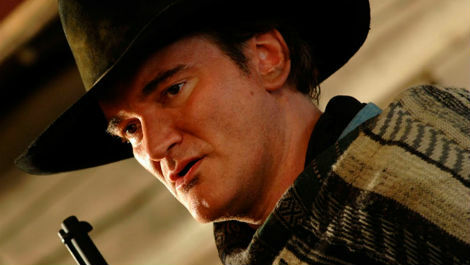 Quentin Tarantino is declaring war on Hollywood after someone leaked the script for ‘Hateful Eight’. Only six people have seen the script itself, and Quentin is naming names. Bruce Dern is one and ‘Reservoir Dogs’ stars Tim Roth and Michael Madsen are two more. Tarantino’s Western only had the title announced in December and he was eyeing up Christoph Waltz and Bruce Dern for lead roles. Apparently, Waltz never received the script. Neither did Samuel L. Jackson, which seems absolutely ridiculous. He gave Dern, Madsen, Roth, ‘Django Unchained’ producer Reginald Hudlin and two other people the script. One of these people is responsible for the leak. And now, feeling butthurt and betrayed, Tarantino is shelving… and possibly scrapping the project altogether. Tarantino isn’t short of ideas when it comes to cinematic grot, so he’ll move onto something else pretty quickly. Rumour has it that he’s been wanting to do a prison movie, again, possibly starring Dern. Tarantino is on record as saying he’s been reading up on the Robert Blake case. Either way, typically with Quentin Tarantino, there won’t be a dull moment.